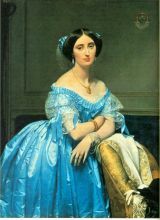 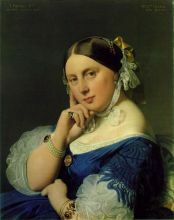 Jean Auguste Dominique Ingres (pronounced /ɛ̃gʀ/) (August 29, 1780 - January 14, 1867) was a French Neoclassical painter. 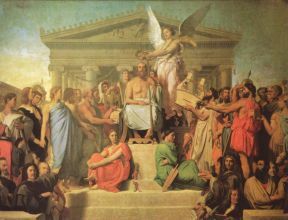 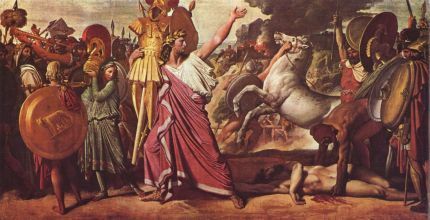 Although he thought of himself as a painter of history in the tradition of Nicolas Poussin and Jacques-Louis David, by the end of his life it was his portraits, both painted and drawn, that were recognized as his greatest legacy. 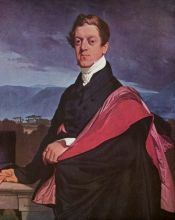 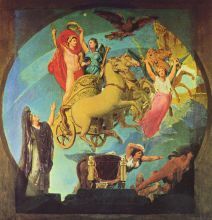 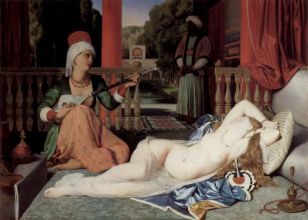 A man profoundly respectful of the past, he assumed the role of a guardian of academic orthodoxy against the ascendant Romantic style represented by his nemesis Eugène Delacroix. 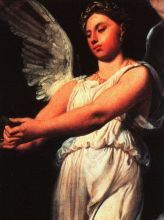 His exemplars, as he once explained, were "the great masters which flourished in that century of glorious memory when Raphael set the eternal and incontestable bounds of the sublime in art ... 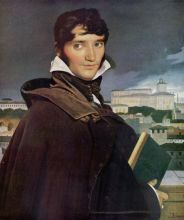 I am thus a conservator of good doctrine, and not an innovator." 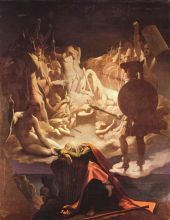 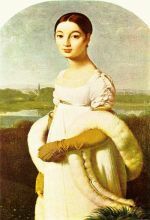 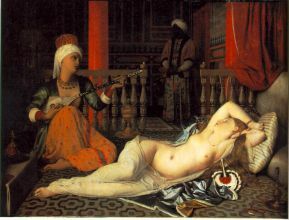 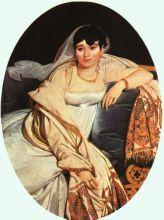 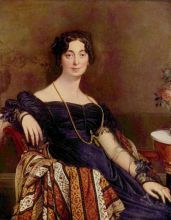 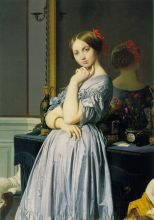 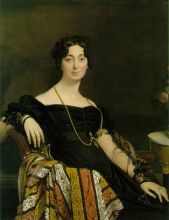 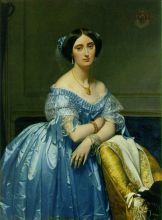 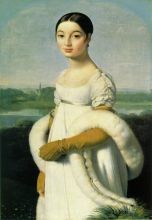 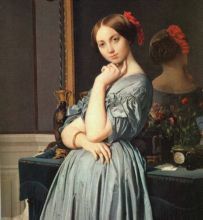 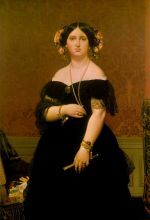 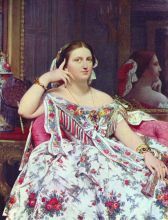 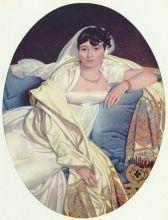 Nevertheless, modern opinion has tended to regard Ingres, and the other Neoclassicists of his era, as embodying the Romantic spirit of his time, and his expressive distortions of form and space make him an important precursor of modern art.